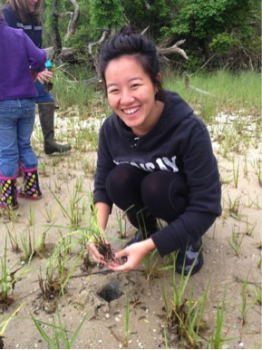 Students and volunteers help us build and monitor living shorelines up and down the coast. These projects allow students to connect with nature while participating in hands-on restoration efforts. Groups learn about why living shorelines are important as well as what types of creatures call them home. Living shorelines are a method used to protect tidal shores from erosion. Unlike traditional techniques such as jetties, groins, and bulkheads, living shorelines use natural elements like oyster shells or native marsh grasses. These natural elements work to stabilize the shore and provide critical habitat at the same time. Other materials used in living shorelines may include: wood, limestone, rip rap or constructed oyster domes. 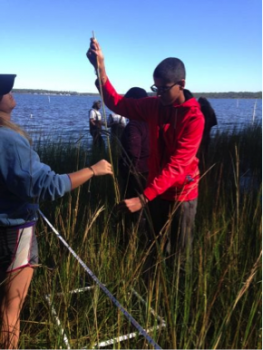 The North Carolina Coastal Federation educates students about living shorelines through interactive lessons both in the classroom and along local shorelines. 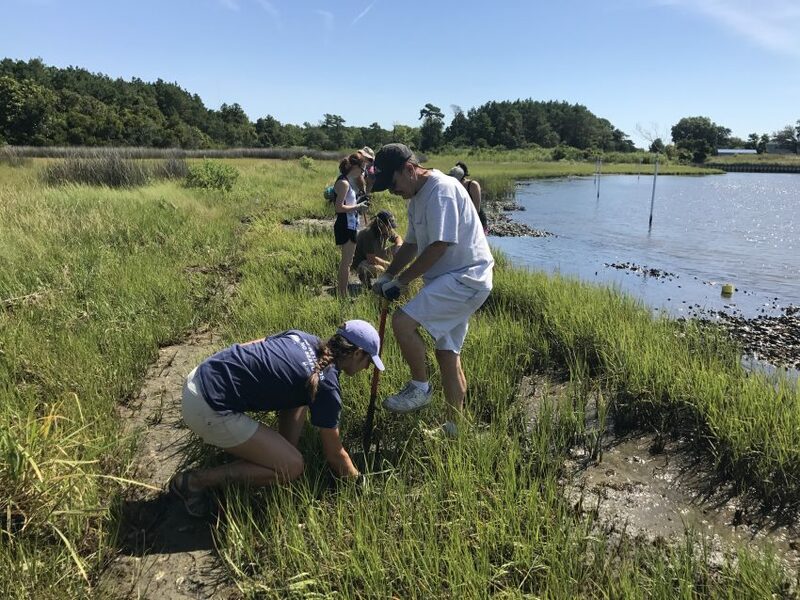 High school and college students help by bagging recycled oyster shells, building reefs, planting marsh grasses and monitoring living shoreline projects. Middle and Elementary school students also help to plant marsh grasses. At the Fred and Alice Stanback Coastal Education Center in Wrightsville Beach, the federation offers a Touch Tank Program each Tuesday throughout the summer months. 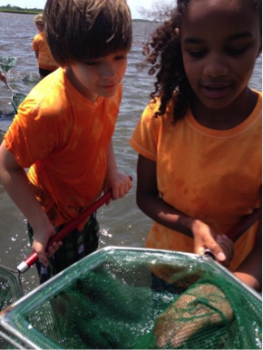 The federation works with numerous schools on living shoreline projects. The classroom and field activities are correlated to the N.C. Standard Course of Study objectives to help teachers integrate the program into their courses. If you are interested in learning more about the federation’s educational opportunities for students, please contact one of our educational coordinators.